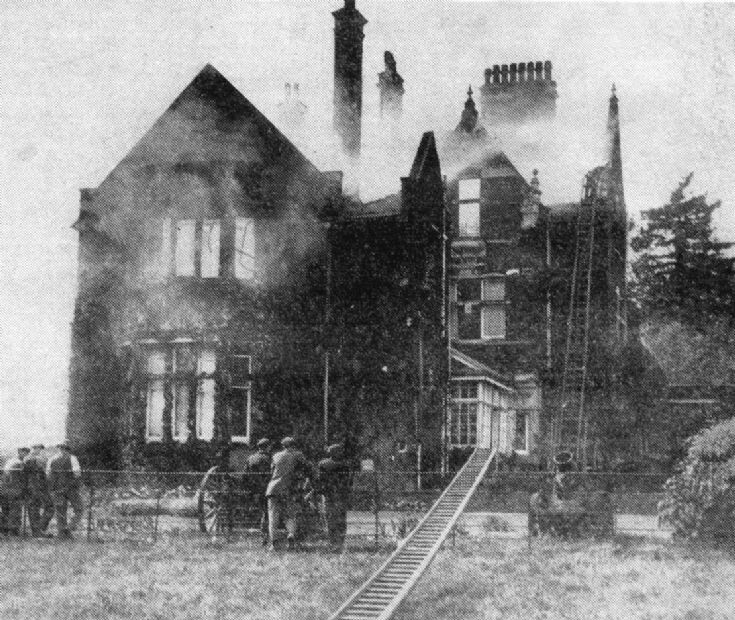 A terrible fire devastated Handcross Park on 23rd May 1935 and the above photograph was the main picture in the newspaper report. The house was the second of three mansions on the site. The original can be found on picture #11. More pictures and reports of the fire can be found at picture #624, picture #625 and picture #633. Local people mentioned in the report were Col. J Raymond Warren, Mrs Lily Warren (his mother), John Warren (his uncle), PC Steve Message, Mr E. Lee, Mr A. Penfold, and Dr Greville Tait. Select Open Document to view the remainder of the newspaper report. The final page was damaged at the start and end of the column and you will have to fill in the gaps yourself!